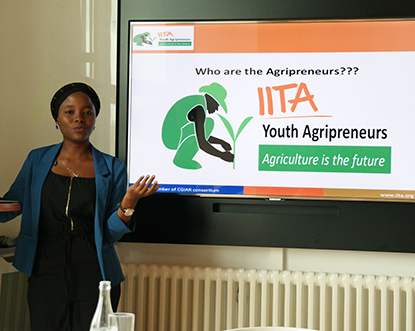 IITA Youth Agripreneurs (IYA) and the Swedish University of Agricultural Sciences (SLU) are set to explore areas of collaboration. This was set in motion known after the visit of one of the members of IYA to the institution, hosted by the students in Agrcicultural and Rural Management. Olaide Jinadu, who represented the group on 17-26 May, 2015 gave 2 presentations during her visit.